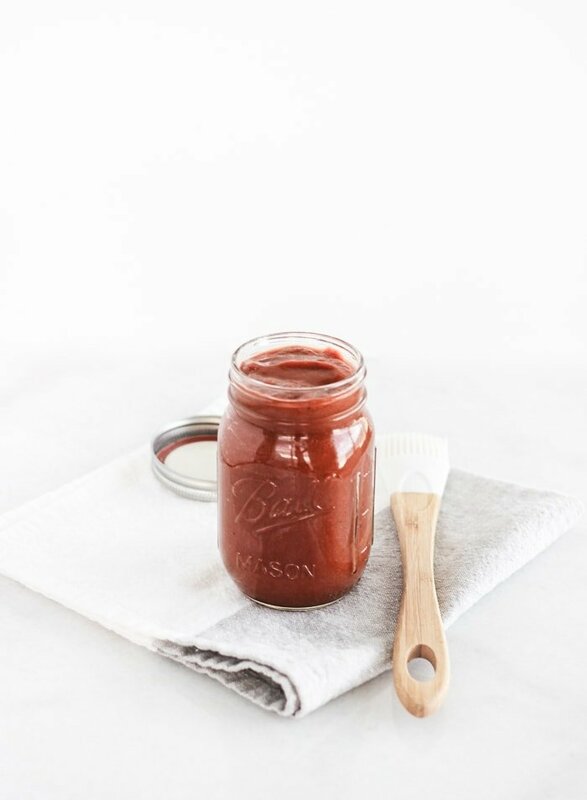 This homemade Texas style barbecue sauce is thick, a little spicy, a little sweet and a little smoky. 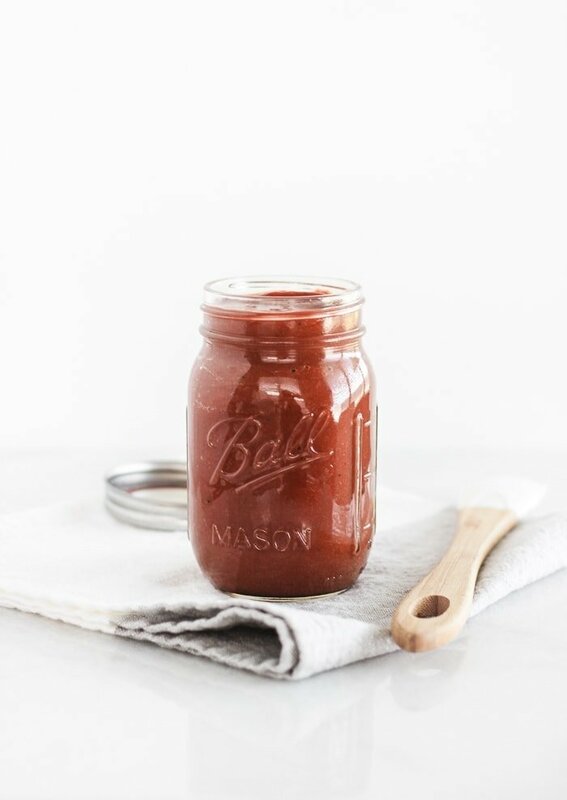 Made with no ketchup and no refined sugar, it’s the perfect BBQ sauce for all of your summer grilling needs! If there’s one thing Texans know, it’s barbecue. We take our BBQ very seriously in the Lone Star State. And while we like to think we do everything better here, we know we do barbecue the best. Of course, every good Texan will tell you that god BBQ doesn’t need sauce. That’s true. But unless you’re an expert pit master, chances are your meat could use a little sauce. Even if you are an expert pit master, it’s nice to have the option of a good barbecue sauce. After a few attempts at homemade BBQ sauce, I think I’ve finally perfected my recipe. I say my recipe because everyone likes their sauce a little bit different, but this is pretty near perfect for me. 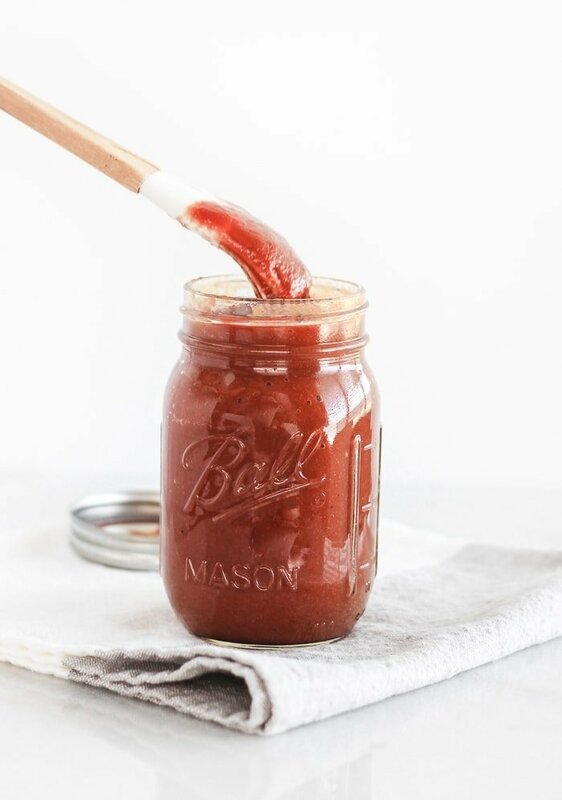 This delicious Texas style barbecue sauce is the perfect mixture of spicy, sweet and smoky. And I love that it’s made with real vegetables, no ketchup (like many BBQ sauce recipes are) and no refined sugar, except for the little in the worcestershire sauce. And it definitely doesn’t have some of the questionable ingredients in store-bought sauces. While there is still some sugar and sweetness from molasses, I like to think this BBQ sauce is a better choice (a definitely tastes better!) than most store-bought sauces. It’s also super simple to make. 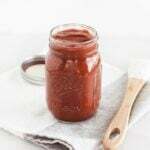 Slather this homemade Texas style barbecue sauce on everything from pulled pork or ribs to grilled chicken to make all of your cookouts and barbecues more enjoyable! In a medium saucepan, heat oil over low heat. Add garlic and onion and cook, stirring, until softened. Add remaining ingredients and simmer on low about 5 minutes, stirring. Remove from heat and use an immersion blender to blend sauce until smooth, or let sauce cool to room temperature then pour into a blender and blend until smooth. Return to pan and turn heat back on low. Let simmer until warmed through. Worcestershire sauce usually contains soy sauce, so it has a small amount of gluten. If that is a concern, look for brands made without soy sauce. It also contains anchovies, so it is not vegetarian.